The burden of debt, especially when it comes to the high price tag of a home, can be a significant worry to many people. However, what many homeowners may not be aware of is that paying your mortgage off early can actually have a negative impact on your financial health. Whether you’ve recently come into money or you’re working hard to bump up your monthly mortgage payments, here are some reasons you may want to hold off on paying it off too quickly. 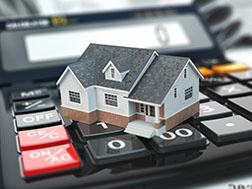 It can certainly be a weight off your mind to pay down your mortgage if you inherit a substantial sum of money, but your monthly payment actually has the added benefit of positively impacting your credit history. While paying down debt may free up your mind to think about other things, the month-to-month payment of your mortgage will prove your reliability to a lender and enables you to take advantage of the tax breaks associated with consistent mortgage payments. It may be fulfilling to pay down your debt by foregoing some of your monthly expenditures, but a very strict budget can be very limiting. Forcing yourself to save money on a consistent basis and sticking with a budget are good in the long run, but cutting back on all the things you love in order to pay off more debt can make for unhappiness and added stress. It’s important to find a balance between paying down debt and enjoying life. The feeling of being debt-free is a good one, but putting most of your money into your mortgage will likely leave you with nothing to invest or save. Many homeowners think that the savings will make up for the money that’s not being invested, but this is not necessarily the case. According to Elle Kaplan, CEO of LexION Capital Management, “A smart investment plan is very likely to outmatch any savings you’d get from paying off a home early.” Instead of putting all your funds into your mortgage, set some aside for saving and investing. Many homebuyers think it’s a good financial move to pay down their mortgage early, but it can actually be better for your credit and bank balance to make consistent payments and start investing early. If you’re currently in the market for a home, contact one of our mortgage professionals for more information.